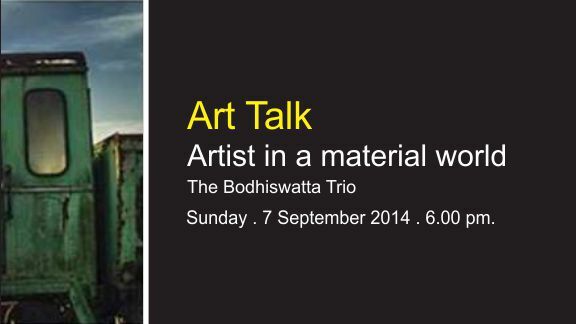 On Sunday, September 7 2014 at 6 p.m, an art talk titled ‘Artists in a material world’ by experimental jazz-rock band “The Bodhisattwa Trio,” was held at Daily Star-Bengal Arts Precinct. The event is open to all. In this session these musicians discussed the realities of working as an independent artist in today’s world. Throughout the discussion, the Trio shared insights into their creative processes and the many other elements needed to bring their original work to listeners and music lovers. This conversation will be of interest to not just musicians but also to all who are creating art today.